We measured spatial differences in airborne particulate matter (PM) in Oakland, CA, with repeated mobile measurements on all city streets. In addition to primary, we also find higher secondary organic PM downtown, which suggests stronger photochemical PM production in areas of high emissions and poor air ventilation (i.e., urban street canyons). This finding is original because while other modeling studies have predicted higher photochemistry in street canyons, we confirm this observationally. Low-cost sensors promise neighborhood-scale air quality monitoring but have been plagued by inconsistent performance for precision, accuracy, and drift. CMU and SenSevere collaborated to develop the RAMP, which uses electrochemical sensors. We present a machine learning algorithm that overcomes previous performance issues and meets US EPA's data quality recommendations for personal exposure for NO2 and tougher "supplemental monitoring" standards for CO & ozone across 19 RAMPs for several months. The SP-AMS exhibited a different sensitivity to black carbon vs. potassium as more SOA mass was condensed onto biomass burning particles. The SP-AMS's sensitivity to BC mass did not plateau following successive SOA coatings, despite achieving high OA : BC mass ratios > 9. A laser ablation single-particle mass spectrometer exhibited a positive correlation to the condensed SOA mass on individual soot particles, demonstrating its ability to obtain mass quantitative measurements from complex matrices. The paper presents an investigation of spatio-temporal variability of street-level NO2 in Hong Kong using mobile cavity-enhanced differential optical absorption spectroscopy (DOAS) and long-path DOAS. Measurements were conducted in December 2010 and March 2017. A significant decreasing trend in on-road NO2 was found by comparing measurements taken in 2010 and 2017. Influences of changes in bus companies' operation strategies can also be observed from the measured NO2 concentration maps. Low-cost sensors have the potential to improve understanding of air quality in complex regions like oil and gas production basins. 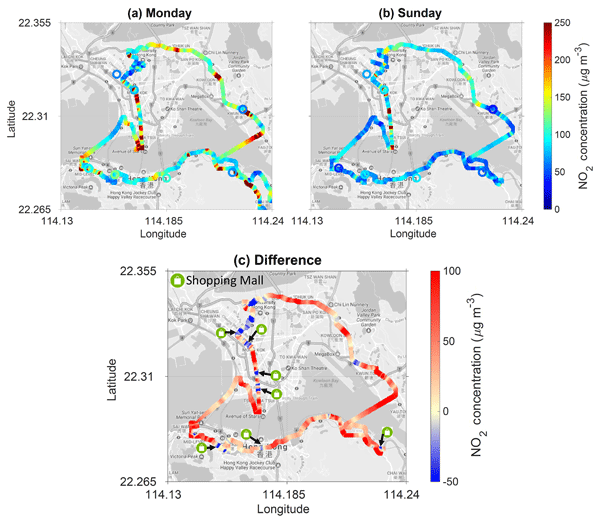 Regression methods have been used to quantify pollutants from sensor signals, but these methods have not been tested when sensors are moved to new sampling locations, away from model training locations. We use sensor data collected at multiple sites to test how well these field calibration methods perform when they are extended to new locations and times. In recent years optical spectroscopic techniques have become commonly used in the determination of mole fractions of trace gases in air. These techniques in many cases determine the mole fractions of only individual isotopic variants ( isotopologues ) of the trace gas, while for many applications the total mole fraction of all isotopologues is required. This paper sets out the measurements and calculations required to convert between individual isotopologue and total trace gas amounts. Identical EC systems on two sides of a building in central Helsinki were used to assess the uncertainty of the vertical fluxes on the single measurement point from July 2013 to September 2015. Sampling at only one point yielded up to 12% underestimation in the cumulative carbon fluxes; for sensible and latent heat the respective values were up to 5 and 8%. The commonly used statistics, kurtosis and skewness, are not necessarily suitable for filtering out data in a densely built urban area. Recently reported trends of carbon dioxide uptakes pose the question if trends may results of the digitalization of gas analysers and sonic anemometers used in the 1990s. Simulating a 12-bit digitalization and the instrument error reported for the R2 and R3 sonic anemometers, the influence of these deficits in comparison to the 16-bit digitalization were quantified. The influence on the annual net ecosystem exchange is negligible, because, errors resulting from the gap filling are much larger. 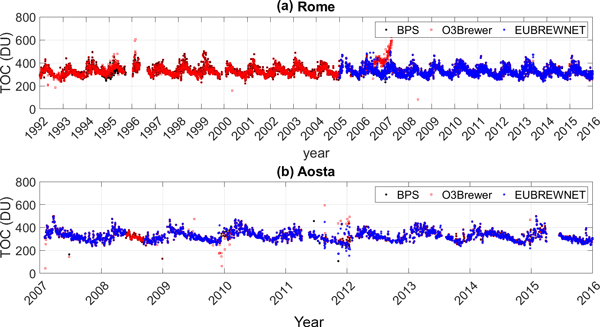 In this work, we introduce a Monte Carlo uncertainty analysis that takes into account possible systematic spectral deviations in the atmospheric full spectrum ozone retrieval method. Accounting for possible systematic spectral deviations in the spectral data is important since they produce larger total ozone column uncertainties than uncorrelated noise-like variations that traditional uncertainty estimations predict. The location and sizing leaks of methane from natural gas operations poses a real challenge for greenhouse gas emission mitigation efforts and for accurate quantification of emissions inventories. We demonstrate, with synthetic and field tests, a new statistical method for the location and sizing of small trace gas point sources dispersed over large areas, based on measurements of ambient atmospheric conditions made with long-range, open-path laser-based atmospheric observations. This paper presents a novel statistical method, ADVS, for baseline selection of representative CO2 data at elevated mountain measurement stations. It provides insights on how data processing techniques are critical for measurements and data analyses. Compared with other statistical methods, our method appears to be a good option as a generalized approach with improved comparability, which is important for research on measurement site characteristics and comparisons between stations. Scientific understanding of environmental Hg cycling is limited by analytical uncertainties. 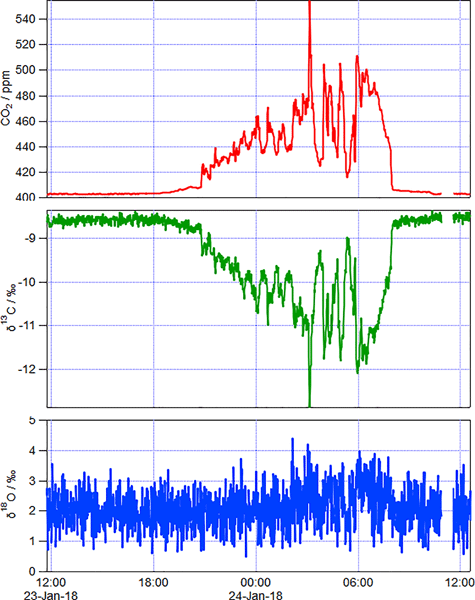 To better characterize analytical uncertainty associated with Hg measurements made with the Tekran® 2537 instrument, I developed new software-based methods for offline processing of the raw instrumental data. I demonstrate significant uncertainty associated with the Tekran® method. By comparison, my methods improve measurement accuracy and the Hg detection limit by as much as 95 % and 88 %, respectively. The waste sector is the second largest source of methane in the UK. However, uncertainties of methane emissions from landfill sites still remain. In this study we present a new approach for the estimation of methane emissions from a landfill site by applying a computational fluid dynamics (CFD) model for precise measurements of methane with in situ Fourier-transform infrared (FTIR) spectroscopy. Different source areas could be distinguished with this method and their emissions were assessed. 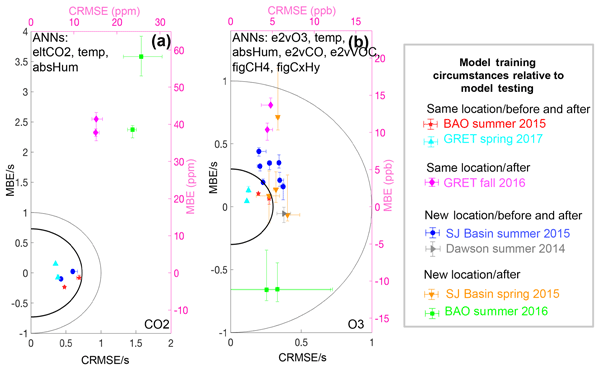 This paper describes a new method of quantifying surface trace gas emissions (e.g. methane) from small aircraft (e.g. Mooney, Cessna) in about 30 min. This technique greatly enhances our ability to rapidly respond in the event of catastrophic failures such as Aliso Canyon and Deep Water Horizon. Processes driving production and transport of CH4 in wetlands are complex. We present an algorithm to separate open-water automatic chamber CH4 fluxes into diffusion and ebullition. This helps to reveal dynamics, identify drivers and obtain reliable CH4 emissions. The algorithm is based on sudden concentration changes during single measurements. A variable filter is applied using a multiple of the interquartile range. The algorithm was verified for data of a rewetted former fen grassland site. During the BORTAS aircraft campaign, we measured NO2 and their oxidtation products (as peroxy nitrates) with a custom laser-induced fluorescence instrument. Because of the high correlation between known pyrogenic tracers (i.e., carbon monoxide) and peroxy nitrates, we provide two methods to use these species for the identification of biomass burning (BB) plumes. Using an artifical neural network, we improved the BB identification taking into account of a meteorological parameter (pressure). The accuracy of carbon models, used for the prediction of global climate change, is limited by the knowledge of the uptake of carbon by plants through photosynthesis. Carbonyl sulfide (COS) has been suggested as a tracer for this process. To be able to further explore and verify the application of this novel tracer we have tested a laser spectrometer for its suitability to obtain accurate and high precision measurements of COS and CO2 with both laboratory experiments and field measurements. We review available methods for the random error estimation of turbulent fluxes that are widely used by the flux community. Flux errors are evaluated theoretically as well as via numerical calculations by using measured and simulated records. 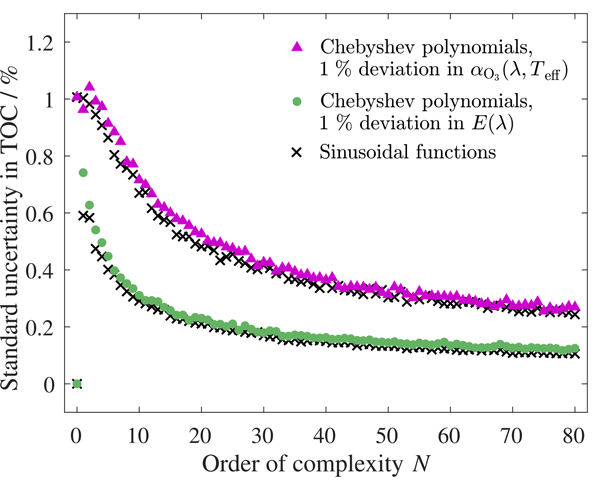 We recommend two flux random errors with clear physical meaning: the total error resulting from stochastic nature of turbulence, well approximated by the method of Finkelstein and Sims (2001), and the error of the flux due to the instrumental noise. In this study we have performed an inter-comparison between EddyUH and EddyPro, two public and commonly used software packages for eddy covariance data processing and calculation. The aims are to estimate the flux uncertainty due to the use of different software packages, and to assess the most critical processing steps, determining the largest deviations in the calculated fluxes. We focus not only on water vapour and carbon dioxide fluxes, but also on the methane flux. Water vapour is the main responsible for the atmospheric extinction in astronomical observations in different bands. One of the most common and accurate techniques to measure it are the radiosoundings. A method to estimate the error and the optimum number of sampled levels is proposed, considering the uncertainties and the leakage in sampling, based on data from Roque de los Muchachos Observ. and Guimar (Canary Is., Spain), Lindenberg (Germany) and Ny-Ålesund (Norway). The median error is 2.0 %. The ATC automatically processes atmospheric greenhouse gases mole fractions of data sent daily by the ICOS network, this includes calibration and water vapor corrections. Data are stored in a database which has been developed with an emphasis on traceability. Instrument calibration and manual quality control lead to automatic revaluation of the mole fractions calculated in near-real time. Calibration corrections avoid artificial gradients between sites that could lead to error in flux estimates. Multi-point monitoring systems are required to measure atmospheric gas concentrations at tall towers and eddy covariance sites. The use of buffer volumes can reduce the uncertainty due to the discrete temporal sampling. We propose a processing scheme that accounts for the fraction of signal built up in the averaging period and reduces the error up to 80 % compared to the standard setup. A relationship is derived to estimate the optimal volume size given the specifications of the sampling system. Surface-based two-filter radon detectors monitor the ambient concentration of atmospheric radon-222, a natural tracer of mixing and transport. They are sensitive, but respond slowly to ambient changes in radon concentration. In this paper, a deconvolution method is used to successfully correct observations for the instrument response. Case studies demonstrate that it is beneficial, sometimes necessary, to account for the detector response, especially when studying near-surface mixing. SO2 variability over a large concentration range and interferences from other gases have been major limitations in industrial SO2 emission monitoring. This study demonstrates accurate industrial SO2 emission monitoring through a portable multichannel gas analyzer with an optimized retrieval algorithm. The developed instrument shows good performance in both the linear and nonlinear ranges. Motivated by unreliable sensor readings and the difficulties in calibrating sensors, we developed a Bayesian-network-based method to remove the abnormal readings and re-calibrate the sensors. The identification of atmospheric CO2 observation data which are minimally influenced by very local emissions/removals is essential for trend analysis and for the estimation of regional sources and sinks. We compared four data filtering regimes based on the observation records at Lin'an station in China, and found that the use of meteorological parameters was the most favorable. This conclusion will aid regional data selection at the Lin'an station. This study evaluates the long-term stability of concentration-dependent and drift-induced biases in three water vapor isotopic analyzers deployed at two remote field sites. Despite limited data at low humidity and measurement hysteresis, inaccuracies in the concentration-dependence characterization are small, and the bias shows no change with isotope ratio or directional drift. Changes in measurement repeatability that are not characterized by linear drift estimates are a larger source of error. Aircraft-based measurements of air pollutants from sources in the Canadian oil sands were made during a summer intensive field campaign in 2013. 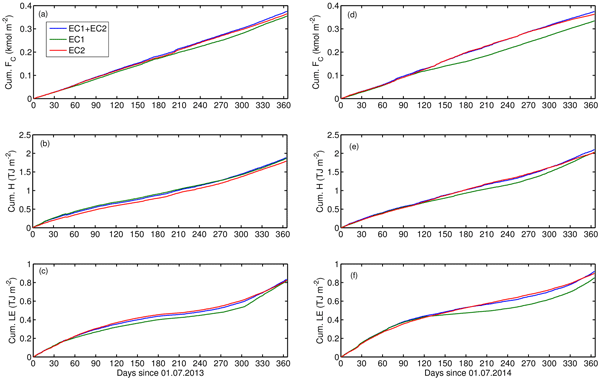 This paper describes the top-down emission rate retrieval algorithm (TERRA) to determine facility emissions of pollutants, using SO2 and CH4 as examples. Uncertainty of the emission rates estimated with TERRA is estimated as less than 30%, which is primarily due to the unknown SO2 and CH4 mixing ratios near the surface below the lowest flight level. Afshar-Mohajer, N., Zuidema, C., Sousan, S., Hallett, L., Tatum, M., Rule, A. M., Thomas, G., Peters, T. M., and Koehler, K.: Evaluation of low-cost electro-chemical sensors for environmental monitoring of ozone, nitrogen dioxide, and carbon monoxide, J. Occup. Environ. Hyg., 15, 87–98, https://doi.org/10.1080/15459624.2017.1388918, 2018. Aleksander, I. and Morton, H.: An introduction to neural computing, 2nd Edn., International Thomson Computer Press, London, 1995. Camalier, L., Eberly, S., Miller, J., and Papp, M.: Guideline on the Meaning and the Use of Precision and Bias Data Required by 40 CFR Part 58 Appendix A, U.S. Environmental Protection Agency, available at: https://www3.epa.gov/ttn/amtic/files/ambient/monitorstrat/precursor/07workshopmeaning.pdf (last access: 5 February 2019), 2007. Castell, N., Dauge, F. R., Schneider, P., Vogt, M., Lerner, U., Fishbain, B., Broday, D., and Bartonova, A.: Can commercial low-cost sensor platforms contribute to air quality monitoring and exposure estimates?, Environ. Int., 99, 293–302, https://doi.org/10.1016/j.envint.2016.12.007, 2017. Cross, E. S., Williams, L. R., Lewis, D. K., Magoon, G. R., Onasch, T. B., Kaminsky, M. L., Worsnop, D. R., and Jayne, J. T.: Use of electrochemical sensors for measurement of air pollution: correcting interference response and validating measurements, Atmos. Meas. Tech., 10, 3575–3588, https://doi.org/10.5194/amt-10-3575-2017, 2017. English, P. B., Olmedo, L., Bejarano, E., Lugo, H., Murillo, E., Seto, E., Wong, M., King, G., Wilkie, A., Meltzer, D., Carvlin, G., Jerrett, M., and Northcross, A.: The Imperial County Community Air Monitoring Network: A Model for Community-based Environmental Monitoring for Public Health Action, Environ. Health Persp., 125, 074501, https://doi.org/10.1289/EHP1772, 2017. Hacker, K.: Air Monitoring Network Plan for 2018, Allegheny County Health Department Air Quality Program, Pittsburgh, PA, available at: http://www.achd.net/air/publiccomment2017/ANP2018_final.pdf (last access: 17 August 2017), 2017. Hagan, D. H., Isaacman-VanWertz, G., Franklin, J. P., Wallace, L. M. M., Kocar, B. D., Heald, C. L., and Kroll, J. H.: Calibration and assessment of electrochemical air quality sensors by co-location with regulatory-grade instruments, Atmos. Meas. Tech., 11, 315–328, https://doi.org/10.5194/amt-11-315-2018, 2018. Hornik, K.: Approximation capabilities of multilayer feedforward networks, Neural Networks, 4, 251–257, https://doi.org/10.1016/0893-6080(91)90009-T, 1991. Jerrett, M., Burnett, R. T., Ma, R., Pope, C. A., Krewski, D., Newbold, K. B., Thurston, G., Shi, Y., Finkelstein, N., Calle, E. E., and Thun, M. J.: Spatial Analysis of Air Pollution and Mortality in Los Angeles, Epidemiology, 16, 727–736, https://doi.org/10.1097/01.ede.0000181630.15826.7d, 2005. Karner, A. 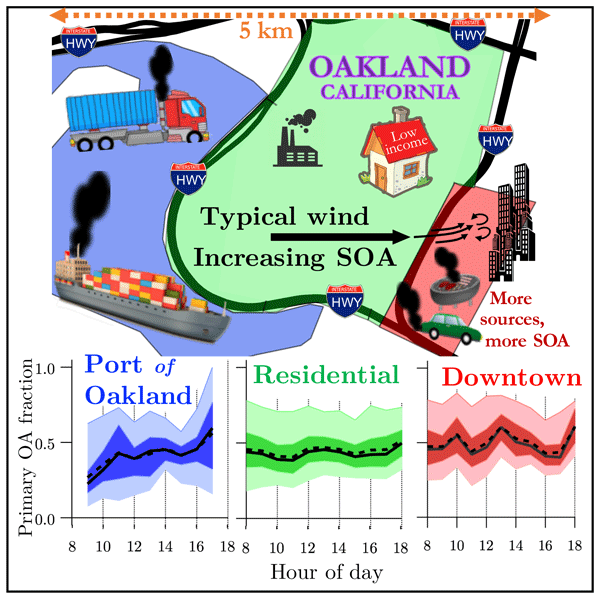 A., Eisinger, D. S., and Niemeier, D. A.: Near-Roadway Air Quality: Synthesizing the Findings from Real-World Data, Environ. Sci. Technol., 44, 5334–5344, https://doi.org/10.1021/es100008x, 2010. Loh, M., Sarigiannis, D., Gotti, A., Karakitsios, S., Pronk, A., Kuijpers, E., Annesi-Maesano, I., Baiz, N., Madureira, J., Oliveira Fernandes, E., Jerrett, M., and Cherrie, J.: How Sensors Might Help Define the External Exposome, Int. J. Env. Res. Pub. He., 14, 434, https://doi.org/10.3390/ijerph14040434, 2017. Malings, C.: Supplementary Data for “Development of a General Calibration Model and Long-Term Performance Evaluation of Low-Cost Sensors for Air Pollutant Gas Monitoring”, Zenodo, https://doi.org/10.5281/zenodo.1302030, 2018a. Malings, C.: Supplementary Data for “Development of a General Calibration Model and Long-Term Performance Evaluation of Low-Cost Sensors for Air Pollutant Gas Monitoring” (abridged version), Zenodo, https://doi.org/10.5281/zenodo.1482011, 2018b. Marshall, J. D., Nethery, E., and Brauer, M.: Within-urban variability in ambient air pollution: Comparison of estimation methods, Atmos. Environ., 42, 1359–1369, https://doi.org/10.1016/j.atmosenv.2007.08.012, 2008. 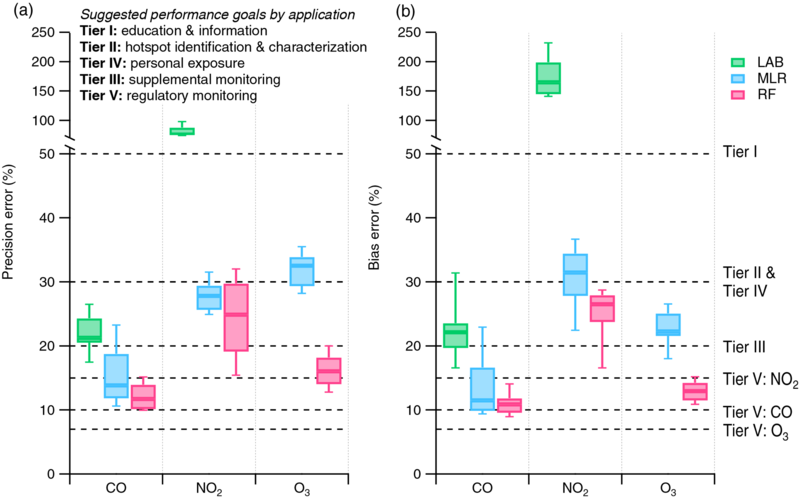 Masson, N., Piedrahita, R., and Hannigan, M.: Quantification Method for Electrolytic Sensors in Long-Term Monitoring of Ambient Air Quality, Sensors, 15, 27283–27302, https://doi.org/10.3390/s151027283, 2015. Mead, M. I., Popoola, O. A. M., Stewart, G. B., Landshoff, P., Calleja, M., Hayes, M., Baldovi, J. J., McLeod, M. W., Hodgson, T. F., Dicks, J., Lewis, A., Cohen, J., Baron, R., Saffell, J. R., and Jones, R. L.: The use of electrochemical sensors for monitoring urban air quality in low-cost, high-density networks, Atmos. Environ., 70, 186–203, https://doi.org/10.1016/j.atmosenv.2012.11.060, 2013. Nabney, I.: NETLAB: algorithms for pattern recognitions, Springer, London, New York, 2002. Popoola, O. A. M., Stewart, G. B., Mead, M. I., and Jones, R. L.: Development of a baseline-temperature correction methodology for electrochemical sensors and its implications for long-term stability, Atmos. Environ., 147, 330–343, https://doi.org/10.1016/j.atmosenv.2016.10.024, 2016. Rasmussen, C. E. and Williams, C. K. I.: Gaussian processes for machine learning, MIT Press, Cambridge, Mass., 2006. Sadighi, K., Coffey, E., Polidori, A., Feenstra, B., Lv, Q., Henze, D. K., and Hannigan, M.: Intra-urban spatial variability of surface ozone in Riverside, CA: viability and validation of low-cost sensors, Atmos. Meas. Tech., 11, 1777–1792, https://doi.org/10.5194/amt-11-1777-2018, 2018. Smith, K. R., Edwards, P. M., Evans, M. J., Lee, J. D., Shaw, M. D., Squires, F., Wilde, S., and Lewis, A. C.: Clustering approaches to improve the performance of low cost air pollution sensors, Faraday Discuss., 200, 621–637, https://doi.org/10.1039/C7FD00020K, 2017. Snyder, E. G., Watkins, T. H., Solomon, P. A., Thoma, E. D., Williams, R. W., Hagler, G. S. W., Shelow, D., Hindin, D. A., Kilaru, V. J., and Preuss, P. W.: The Changing Paradigm of Air Pollution Monitoring, Environ. Sci. Technol., 47, 11369–11377, https://doi.org/10.1021/es4022602, 2013. Spinelle, L., Aleixandre, M., Gerboles, M., European Commission, Joint Research Centre and Institute for Environment and Sustainability: Protocol of evaluation and calibration of low-cost gas sensors for the monitoring of air pollution., Publications Office, Luxembourg, available at: http://dx.publications.europa.eu/10.2788/9916 (last access: 13 February 2018), 2013. Spinelle, L., Gerboles, M., Villani, M. G., Aleixandre, M., and Bonavitacola, F.: Field calibration of a cluster of low-cost available sensors for air quality monitoring. Part A: Ozone and nitrogen dioxide, Sensor. Actuat. B-Chem., 215, 249–257, https://doi.org/10.1016/j.snb.2015.03.031, 2015. Tan, Y., Lipsky, E. M., Saleh, R., Robinson, A. L., and Presto, A. A.: Characterizing the Spatial Variation of Air Pollutants and the Contributions of High Emitting Vehicles in Pittsburgh, PA, Environ. Sci. Technol., 48, 14186–14194, https://doi.org/10.1021/es5034074, 2014. Turner, M. C., Nieuwenhuijsen, M., Anderson, K., Balshaw, D., Cui, Y., Dunton, G., Hoppin, J. A., Koutrakis, P., and Jerrett, M.: Assessing the Exposome with External Measures: Commentary on the State of the Science and Research Recommendations, Annu. Rev. Publ. Health, 38, 215–239, https://doi.org/10.1146/annurev-publhealth-082516-012802, 2017. Williams, R., Vasu Kilaru, Snyder, E., Kaufman, A., Dye, T., Rutter, A., Russel, A., and Hafner, H.: Air Sensor Guidebook, U.S. Environmental Protection Agency, Washington, DC, available at: https://cfpub.epa.gov/si/si_public_file_download.cfm?p_download_id=519616 (last access: 10 October 2018), 2014. Zimmerman, N., Presto, A. A., Kumar, S. P. N., Gu, J., Hauryliuk, A., Robinson, E. S., Robinson, A. L., and R. Subramanian: A machine learning calibration model using random forests to improve sensor performance for lower-cost air quality monitoring, Atmos. Meas. Tech., 11, 291–313, https://doi.org/10.5194/amt-11-291-2018, 2018.